Arrival in Hong Kong! 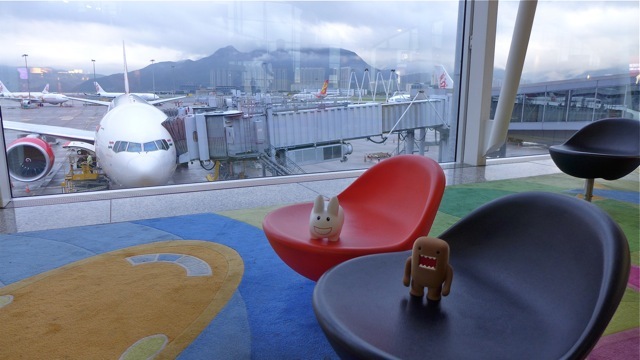 In the early morning light, Pipkin and Domo enjoy views of the mountains in the background. There's a little time to spare so, it's time to get some food. 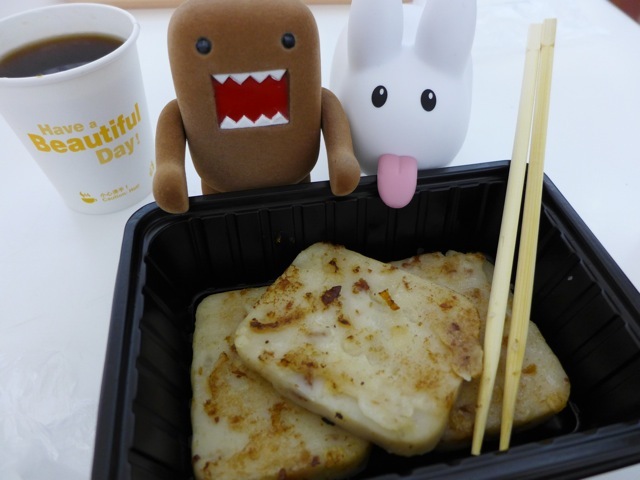 One of Pipkin's favourite Cantonese dishes to eat are these fried turnip cakes. Domo's good with coffee, but he'll try a bit of Pipkin's dish, too. With bellies full, they played around in the airport. 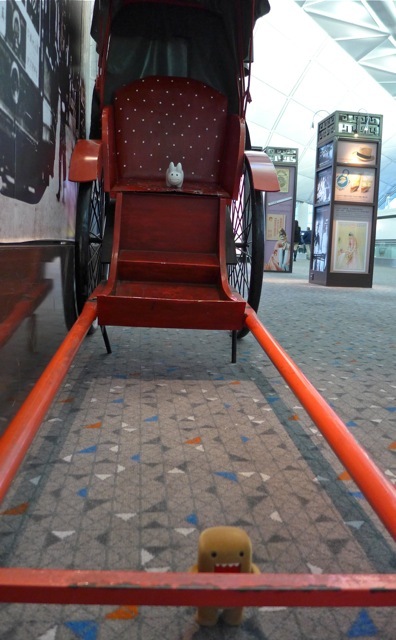 Here's an old-fashioned rickshaw, which you won't find on the busy streets of Hong Kong these days. On the plane Pipkin tried to make sense of the lines and squiggles that make up the Chinese written language. 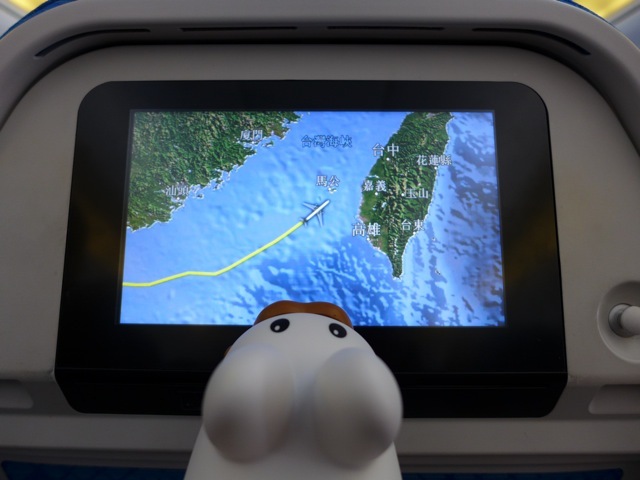 On the right of the map is the island of Taiwan. At the left is mainland China. The city indicated at the top center-left of the map is Xiamen, where Pipkin's friend Echo lives. Hi Echo! Too bad he won't be able to see her this trip. On to Taipei!